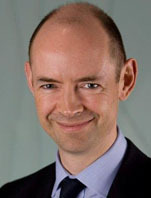 Peter Illingworth is the Managing Director and Head of Shipping Asia for Deutsche Bank AG, based in the Singapore office. He is responsible for Deutsche’s Shipping Industry corporate and investment banking franchise throughout Asia Pacific and the Middle East. He has more than 25 years experiences in banking, mostly specialized in shipping finance. He started his career with ANZ Investment Bank in 1986 before moving to Kleinwort Benson and then Long Term Credit Bank of Japan (LTCB), where he was the Head of Shipping Finance. He then joined DVB Bank in 1998 following its acquisition of the LTCB Transportation business. He held a series of senior roles at DVB including Head of Shipping, Head of Risk Management and Managing Director Crude and LNG. He joined Deutsche Bank in August 2014. He is a regular speaker at conferences for Marine Money and Lloyds/Informa and is a co-author of the Euromoney Book “Shipping Finance” and holds a Master's degree from Pembroke College, Cambridge University.